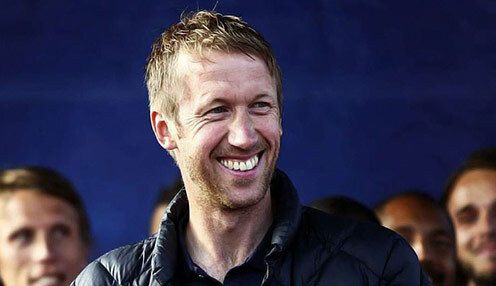 Graham Potter remains convinced his Swansea City team can put together a good run of results and secure a place in the Championship play-offs. The Swans are currently seven points adrift of the top six and face a tough run of fixtures against Norwich City, West Brom and Nottingham Forest. Potter said: "Anybody that can consistently win between now and the end of the season puts themselves in a very strong position, because there are plenty of points still to play for. "It's obvious that if you can win a lot of games on the spin you can move up the table quite quickly and in a big way. Everyone will be saying the same thing, that's the nature of the Championship. "If you look at our games between now and the end of the season, there are a lot in a small space of time and it's whether you can get on a run and get some momentum. If you could pick a time to do it, the time is now." Swansea have not won more than two games in a row this season and are 250/1 to be promoted this season, while Norwich City can be backed at 1/66 to go up and Leeds United at 4/6.